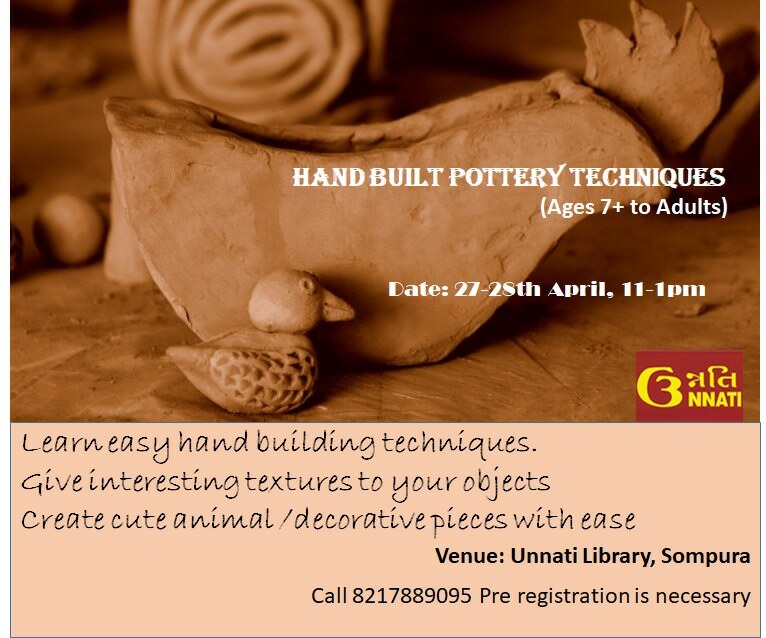 So come and have some clay fun and dress for summers! Carry apron if you have. Kiln is not available at venue, if participants are interested the same can be done later.